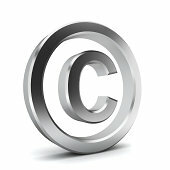 Most basically, copyright is the ownership of a work, such as a photograph. Permissions can be given for use, such as reproduction rights to client by a print release, while retaining copyright ownership. What does this mean to you as a Realtor? Photos may be uploaded to any MLS listing service solely for promotion of the property. Photos may be printed in any publication that advertise properties for sale or rent and for brochures promoting the property. Photos may be used on any social media site to promote the property. Photos can be shared with the owner of the property but owner cannot use the photos for any commercial purposes or to earn a fee from photos without expressed written consent and paying for licensing rights to David Powell Media. The above licensing rights expire when the property has been sold, leased, withdrawn or expired with the agent that these rights were licensed to. If the property has sold or leased these additional rights are granted. 1) 30 days to promote the property in print for “Just Sold” mailing pieces. 2) To promote the property on agent’s website and social media has been sold or leased by the agent indefinitely. You cannot sell or lend photos to another agent for any purposes without expressed written consent and paying for licensing rights to David Powell Media. You cannot sell or lend to any parties such as but not limited to interior decorators, home stagers, contractors, etc without expressed written consent and paying for licensing rights to David Powell Media. You cannot alter the photos, watermark or enhance them without expressed written consent from David Powell Media. According to the U.S. Copyright Office, the owner of the “work” is generally the photographer or, in certain situations, the employer of the photographer. Even if a person hires a photographer to take pictures of a wedding, for example, the photographer will own the copyright in the photographs unless the copyright in the photographs is transferred, in writing and signed by the copyright owner, to another person. The subject of the photograph generally has nothing to do with the ownership of the copyright in the photograph. If the photographer is no longer living, the rights in the photograph are determined by the photographer’s will or passed as personal property by the applicable laws of intestate succession.